Latha Venkatesh, the veteran editor of CNBC TV18, is renowned for her no-nonsense approach. She comes straight to the point without beating around the bush. “You have a big Dussehra gift for our viewers?” she straightaway asked SP Tulsian in a matter-of-fact style. SP Tulsian, the veteran stock picker, is well-versed with the ways of Dalal Street. He knows that on auspicious occasions, luminaries are expected to shower hefty gifts in the form of stock recommendations upon novice investors. 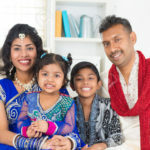 We saw earlier that Porinju Veliyath and Vijay Kedia gave us Diwali gifts in the form of stocks with 5x/ 10x multibagger potential. Raamdeo Agrawal kept pace by giving us a Diwali Bonus stock. He also revealed his top-secret formula for finding multibagger stocks. Mohnish Pabrai normally does not offer stock recommendations. However, he did not want novices to go back empty-handed on Diwali night. So, he also recommended three fail-safe and potential multibagger stocks, which are already a part of his portfolio. Mudar Patherya missed out on the Diwali bonanza. 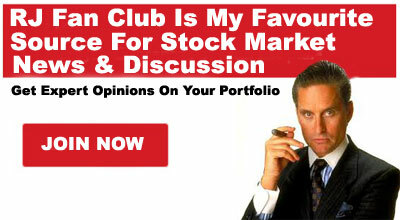 However, he made up for the lapse by giving us five high-quality stock recommendations as a Christmas gift. “Yes I have one Dussehra gift for the viewers that is Leel Electricals,” SP Tulsian said with a big smile on his face. He then proceeded to give a masterful explanation of why Leel Electricals deserves to be given pride of place in our portfolios. Thereafter, SP Tulsian reeled out facts and figures relating to LEEL’s accounts. He explained that the fortune of Rs. 1500 crore received by LEEL from Havells will be used to repay debt and de-leverage the balance sheet. He also pointed out that the Company is quoting at a throwaway P/E valuation of about 6-7 based on its projected EPS. SP Tulsian also drew inspiration from the fact that Dixon Technologies, which is in an identical business, is quoting at a P/E multiple of 35-38 even though the margins it commends are lower than that of LEEL’s. He also predicted that LEEL will surge to a target price of Rs 325 in six months even as Latha Venkatesh smiled back at him, thoroughly impressed. It is fact that nobody can match Dolly Khanna’s stock picking prowess. While SP Tulsian recommended LEEL during Dussera 2017, LEEL is already a proud member of Dolly Khanna’s portfolio. As of 1st April 2016, Dolly held 232,626 shares. She added 220,290 shares sometime during the year and increased her holding to 452,916 shares. Thereafter, when the stock surged like a rocket in the wake of the sale to Havells, Dolly decided to take some chips off the table. She sold off a chunk of 198,205 shares. Dolly’s holding in LEEL as of 31st March 2017 is 254,711 shares. The present holding is not known. Porinju’s modus operandi is to aggressively buy stocks where the downside potential is low and the upside potential is high. 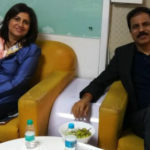 This strategy has helped Porinju effortlessly snare several mega multibaggers in the course of his illustrious career. LEEL is a textbook example of a stock where Porinju is putting the strategy into practice. He was first spotted by vigilant observers in the LEEL counter on 28th September 2017 when he bought a chunk of 1,61,950 shares in the name of Equity Intelligence. Thereafter, he has been systematically loading up on the stock on every available occasion. As of February 2018, Porinju holds a massive chunk of 7.35% of LEEL’s equity capital. This makes Porinju a formidable force to reckon with in LEEL. He can virtually dictate terms to the management of the Company or at least influence their decision making. Budget 2018 gave Porinju an opportunity to recommend six stocks to us. LEEL Electricals is one of the stocks which made the cut. Porinju explained that the drastic debt reduction that LEEL has witnessed in the wake of the Havells’ deal means that it is only a question of time before it is re-rated. He also emphasized that the steep discount at which LEEL is quoting in comparison to its arch rivals Dixon and Amber is unsustainable. Nigel D’Souza of Mid-Cap Mania fame compared LEEL with Amber and opined that LEEL is relatively cheaper than Amber. Aveek Mitra, a noted stock market expert, has also come out with all guns blazing in favour of LEEL Electricals. He explained that the downside in LEEL is limited because the cash in the books of Rs 1000 crore is itself worth the entire market capitalisation of Rs 1000 crore. By implication, if the downside is protected, even a slight uptick in operational performance will be sufficient to send the stock surging like a rocket into orbit. Prima facie, it is not everyday that we get a chance to tuck into stocks with low downside risk and high upside potential. 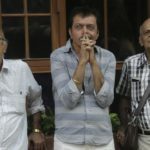 Also, if we do tuck into LEEL, we will have a chance to rub shoulders with Dolly Khanna, Porinju Veliyath and SP Tulsian which we should not miss out on! 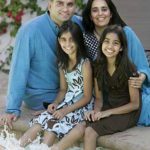 ← Is Mohnish Pabrai’s Latest Stock Pick A “Screaming Buy” Multibagger Or An Overvalued Compounder?